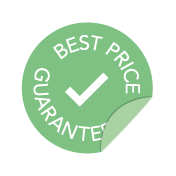 We are always monitoring prices to ensure that our customers get the best rates, and we are 100% confident that you will not find a cheaper rate for the same product anywhere else. If you do come across the same deal for less within 24 hours of making your booking we will not hesitate to beat the lower price, provided that the cheaper product is a 'like for like' match. Simply contact us with the web address of the site together with the total inclusive price of the product or service and we will do the rest, no quibbles. Gatwickreservations.com is committed to providing you with the very best Parking, Hotel and Hotel with Parking packages at the best possible rates with no hidden or added costs. All our prices include VAT and there is no charge for using your credit or debit card. So please consider this when comparing our rates with others. We're please to say that in more than 12 years of specialising in packaging Gatwick hotel and parking deals it has only happened a handful of times, and in every instance we've beaten the rate immediately. We take our price match promise very seriously.